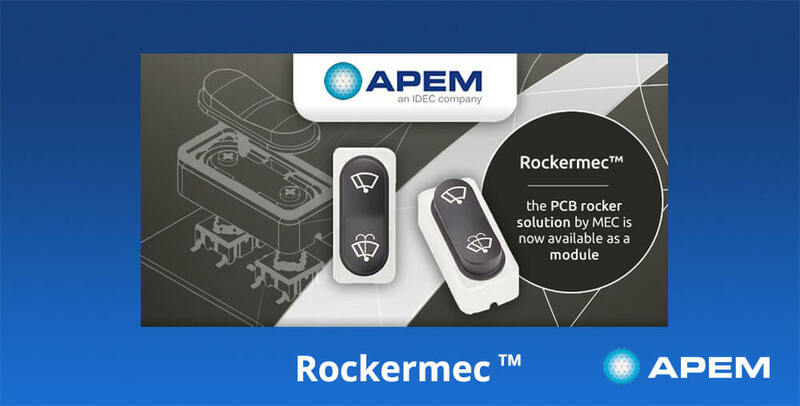 APEM Rockermec™ Now Available as a Module » Electronic Salesmasters Inc.
Rockermec™, the PCB rocker solution in MEC’s product range that was launched last year, is now available as a module. The solution consists of two Multimec™ 5E switches, a sealing that also provides functionality and a rocker cap called 10A. 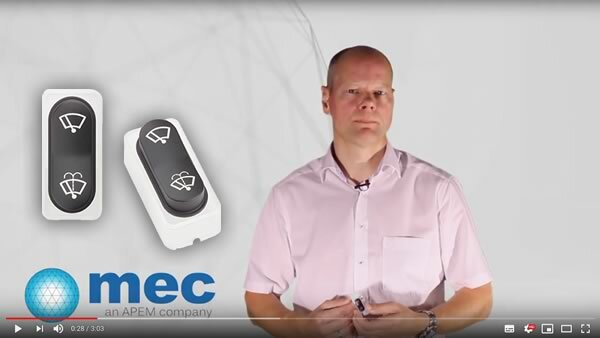 Rockermec™ is a compact solution for your high design-in requirements: see more details in the product video. APEM will be participating at Electronica, the leading international tradeshow for the electronic industry. Come meet us in Hall A2, stand 115, where our specialists are only too delighted to go through our range of HMI products.